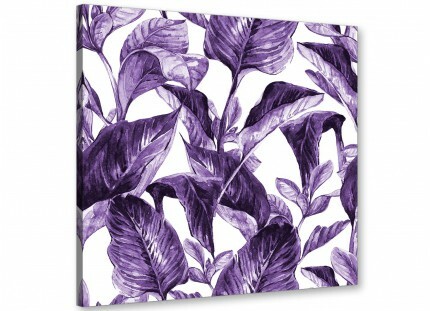 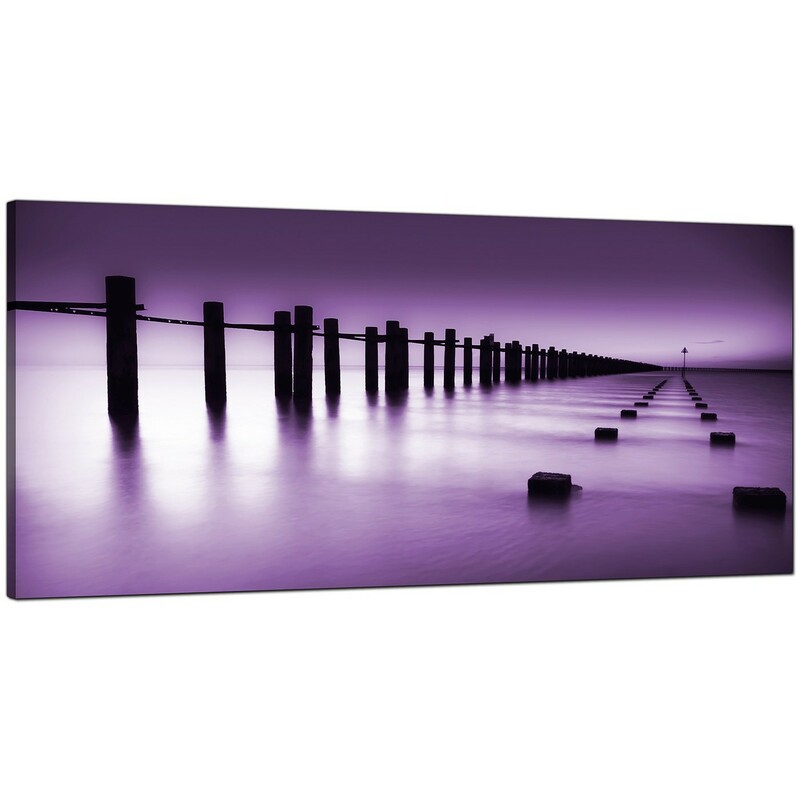 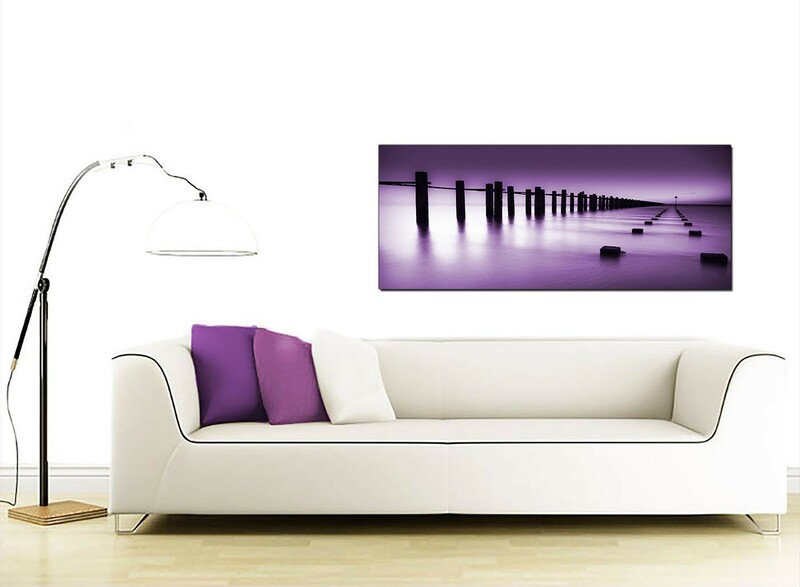 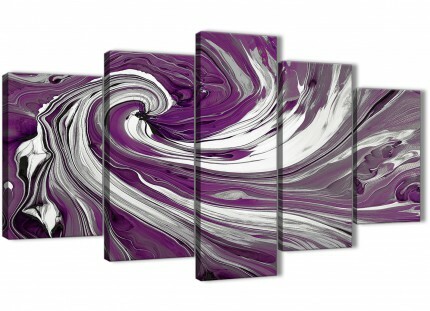 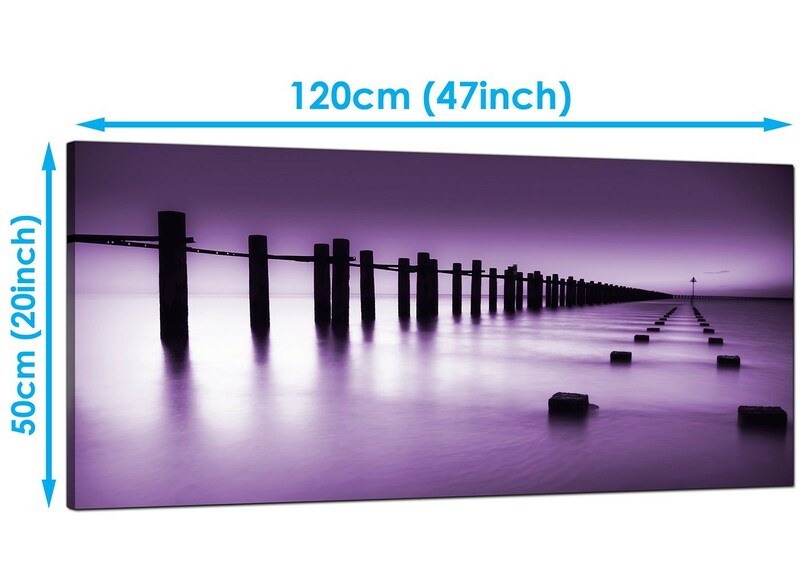 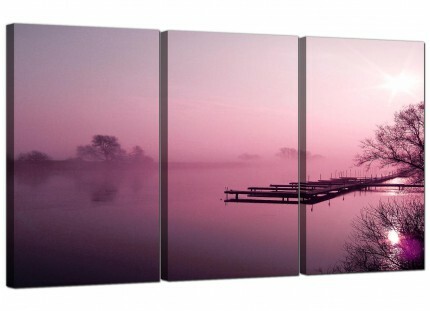 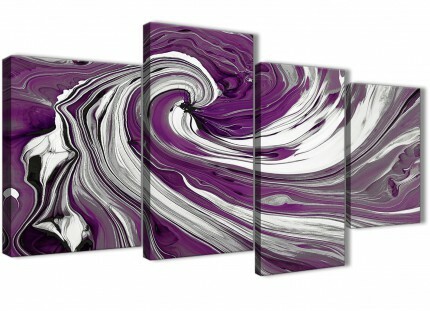 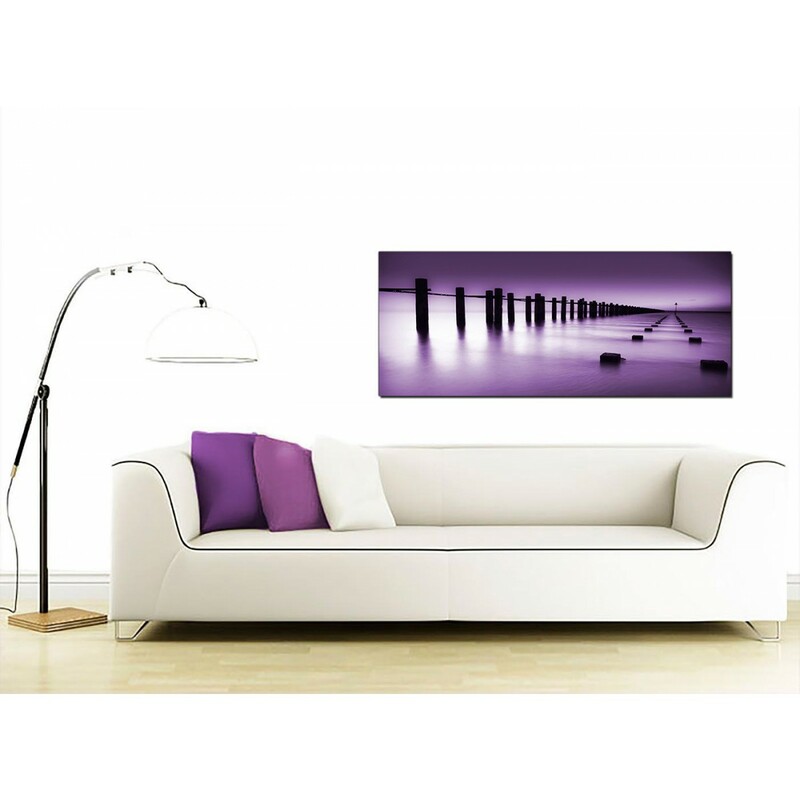 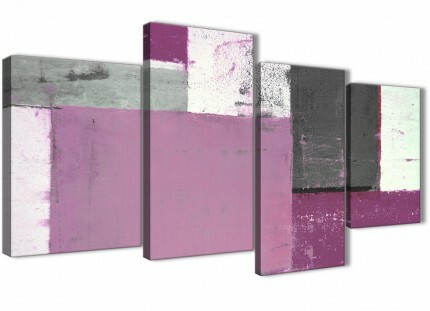 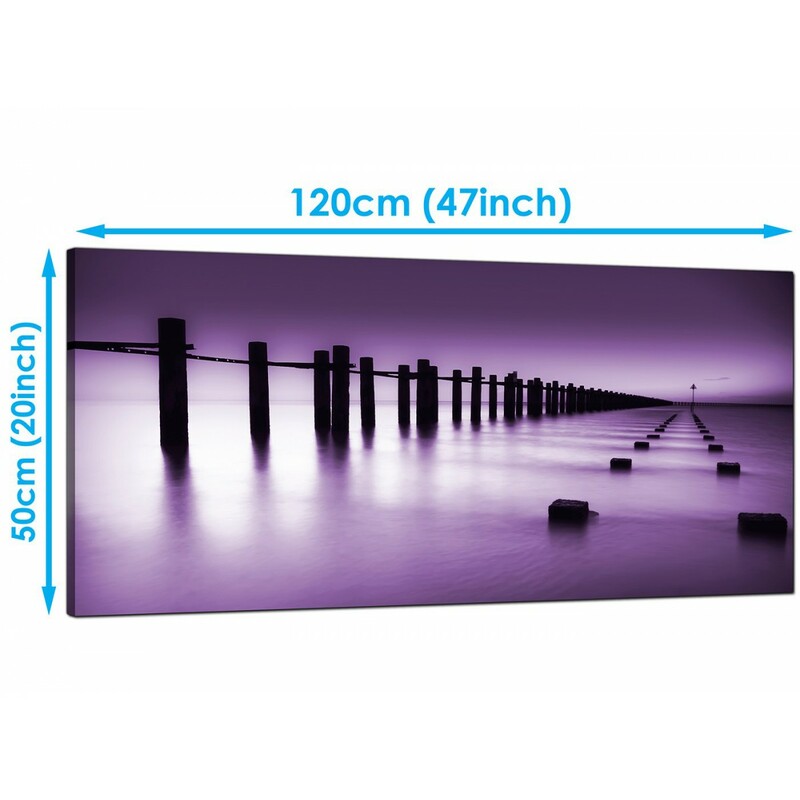 Modern canvas wall art of a vibrant violet seascape on a misty dawn. 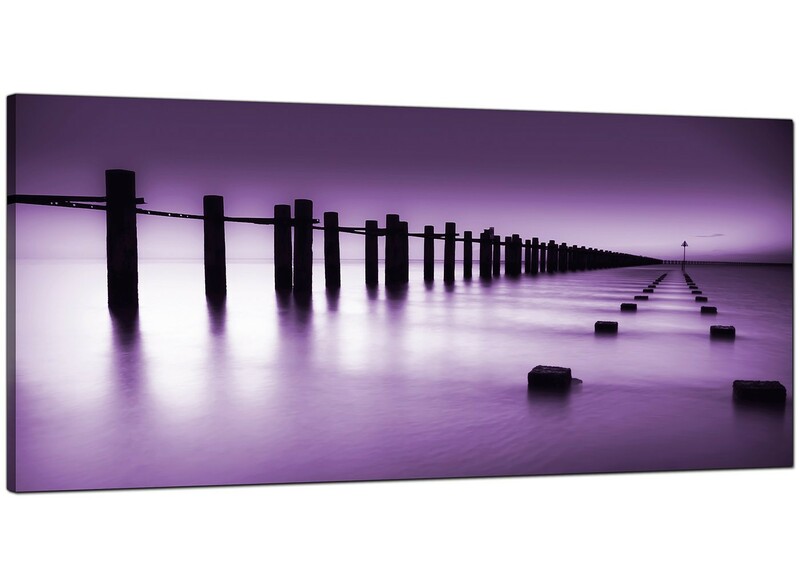 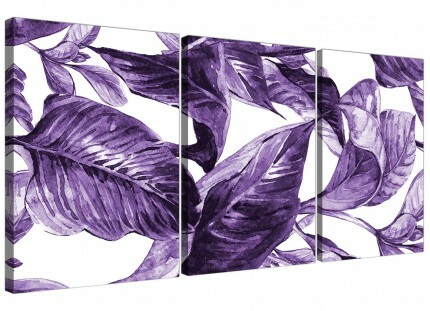 An extra large purple up to the minute panoramic wall picture. The UK's most reliable canvas art brand. 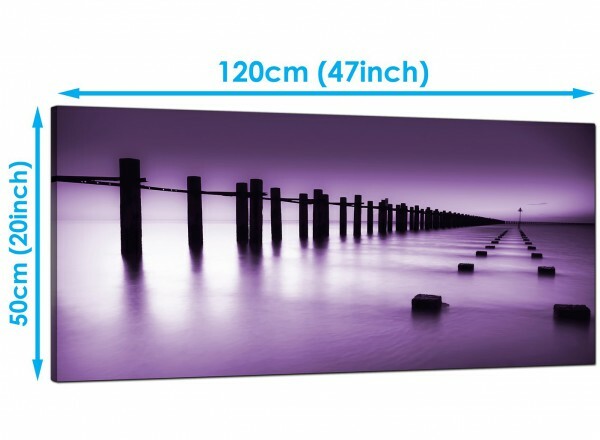 Good size for over your sofa.